Stop worrying about social media image sizes with these nine apps. 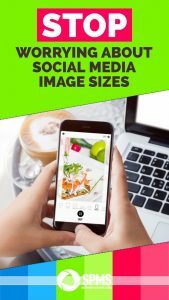 Are you tired of googling the latest social media image sizes and stressing about the number of pixels you need for a Pinterest image versus a Facebook ad versus a Twitter header and so on?? Thankfully, apps are catching on to this struggle. 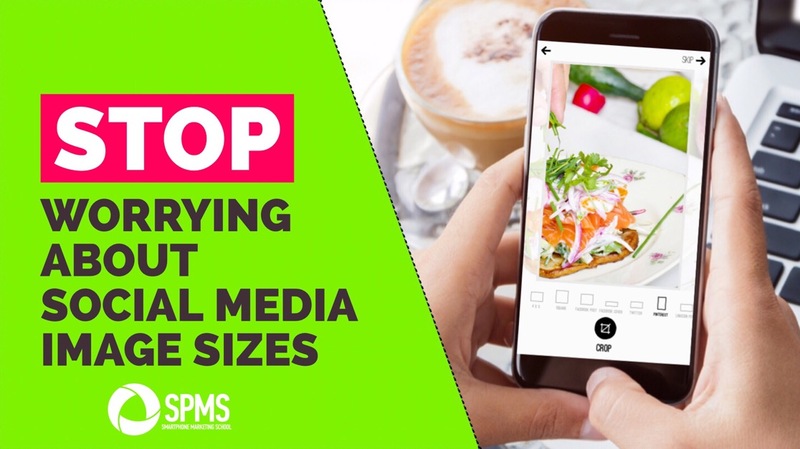 They are now making it easier than ever to get just the size you need for all your social media images. With just one photo, you can easily alter it for all of your social media platforms with the tap of a button. No needless brain energy wasted there. Quick Side Note: My manicure is on its last leg – hope you can look past that! 1. Word Swag. The once square-only app is now prepared to create all of your social media designs. 2. Adobe Spark Post. This has been a favorite of mine for awhile because of its flexibility with social media image sizes. Added bonus: It saves your templates for future designs. Just duplicate an old design, tweak it as needed, and save! 3. InShot App. Like Word Swag, this app previously only focused on square sizes. 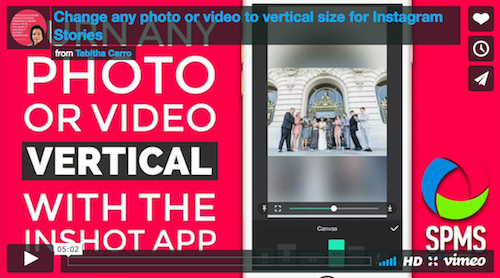 Now you can resize photos AND videos to what you need. 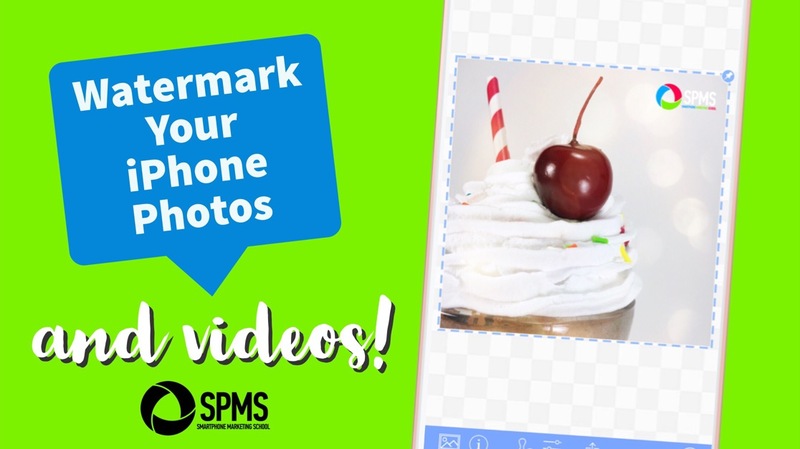 The following InShot tutorial video for converting any photo or video to vertical for Instagram Stories is from my paid SPMS membership site. 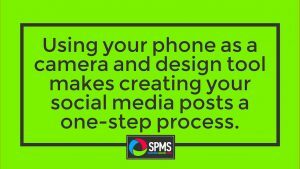 Sign up for my weekly SPMS tip emails and you can learn right now how to convert any photo or video in your cameral roll to a vertical Instagram Stories post (or Snapchat). And this app is available for Android as well! SIGN UP FOR PRACTICAL WEEKLY TIPS AND YOU'LL GET INSTANT ACCESS TO THIS EASY, IN-DEPTH VIDEO TUTORIAL. Success! Use password youcandoit to access the video below. 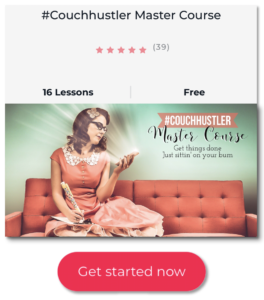 (And get prepared to learn how to kick some marketing bootay with just your smartphone! 4. Phonto. This app may not specifically say Pinterest or Facebook ad or another label for its image options, but it provides a wide range of sizes. It also provides a custom sizing option if you know the pixel amount you want for an image. Added bonus: You can install your own fonts. 5. Canva. The beloved desktop program for social media design also has an app with a ton of social media image size options. Added bonus: This app syncs with your desktop designs. 7. Frame Magic. Now, this doesn’t label any of the size options for social media, but if you’re looking for a collage that will do any size, this is your app. It’s what I use for the base of my Pinterest images and featured blog images (scroll down to see the Pinterest image). 8. PicPlayPost. Along the lines of collages, this app will also provide you with different sizing for photo AND video collages. GREAT for vertical Instagram Stories. Don’t forget, if a simple crop is all you need, you can easily do this on an iPhone in the Photos app. I do this frequently to crop an image specifically for Pinterest or Instagram. Update: Tap the “Edit” word in the top right-hand corner to access cropping tools. Learn how to use your smartphone camera and start taking photos with your phone. 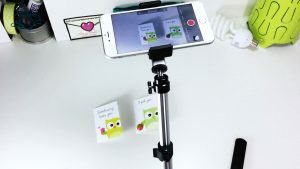 This eliminates the extra hassle of using a clunky camera and transferring photos all the time. Don’t have photos? Access stock photo sites from your mobile browser. You should be able to press down and save them to your camera roll. Several of the apps mentioned also provided you with free stock photos. Want to remember these nine apps that do all the work for you with social media image sizes? Then pin this image to your Pinterest account (sized with Frame Magic, items layered with Phonto, and text added with Adobe Spark Post). 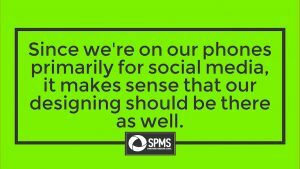 You can read more about using your phone for Pinterest designs here.